Chrome OS users can now install the Google Duo Android app on their Chromebooks. This is an Android app, so you will need a Chromebook that supports Play Store. Redditor u/gabriele_tng reported this on the /r/ChromeOS subreddit and I can see many users confirming that they were able to install this on their Chromebooks. Google Duo is supported on the latest Stable release of Chrome OS. That should cover most of the devices. If you find any unsupported device, do let me know in comments and I will add it to the post. 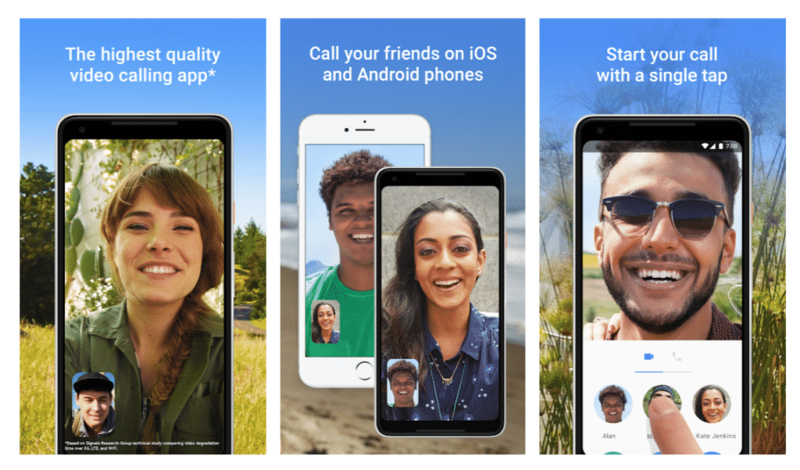 Google Duo was launched in 2016, along with the WhatsApp-like Allo chat app. Traditionally, chat apps add video calls as a built-in feature. Google took a different approach with Allo and Duo. Allo is a text based chat app and Duo is exclusively for video calls. For better or worse, this proved to be the right thing to do. Allo never took off and is expected to be officially shelved soon. Duo however became pretty popular. It has 500 million installations, per Google Play Store. Are you a Google Duo user? Let me know in comments! I know that there are plenty of Duo users here in India. I have also seen Google promoting Duo through TV commercials. PS: I am happy to see many of you regularly commenting on my articles. I just want to tell you that it makes me really happy!!! If you are not party of this community yet, jump in and say hello in comments!